In case you haven’t noticed, fall has arrived. But is your style ready for the apple orchard photo ops, 4-course dinner parties, 4-drink cocktail parties, and generally cozy hangout sessions (yes, we’re talking about Netflix and chill) on your agenda between now and the end of the year? If you’re shaking your head from side to side, we got you. Here, 10 buys that’ll bring your style from 2017 into 2018 (and even 2019) in no time at all. Plus, mini motivational speeches on why we think you should own each one. Think of it as the digital version of a shopping buddy. 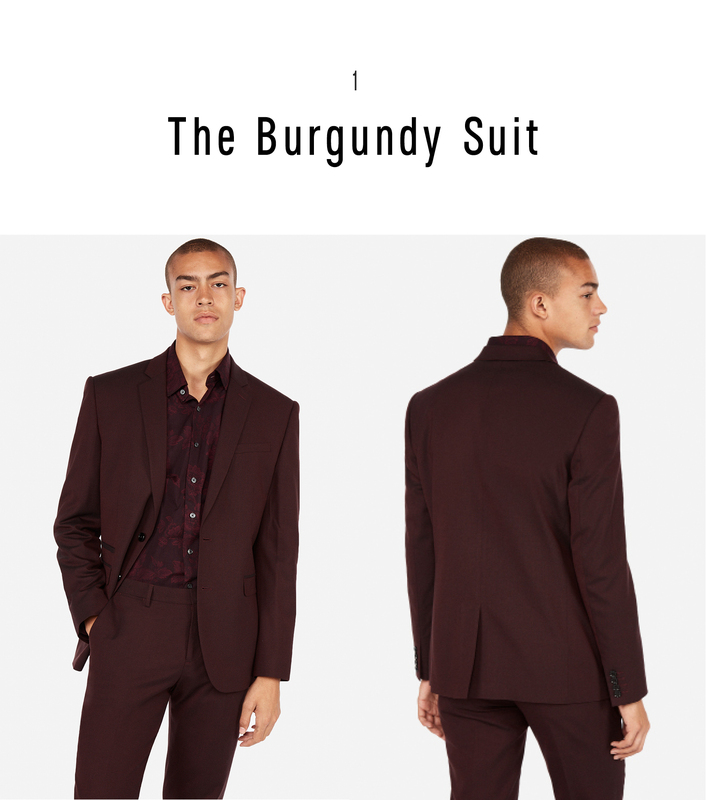 A suit in an unconventional color belongs in every man’s wardrobe, and burgundy remains one of your most stylish and foolproof options. It’s bold without coming on too strong, looks great with black or brown accessories, and feels vaguely holiday-festive, too. 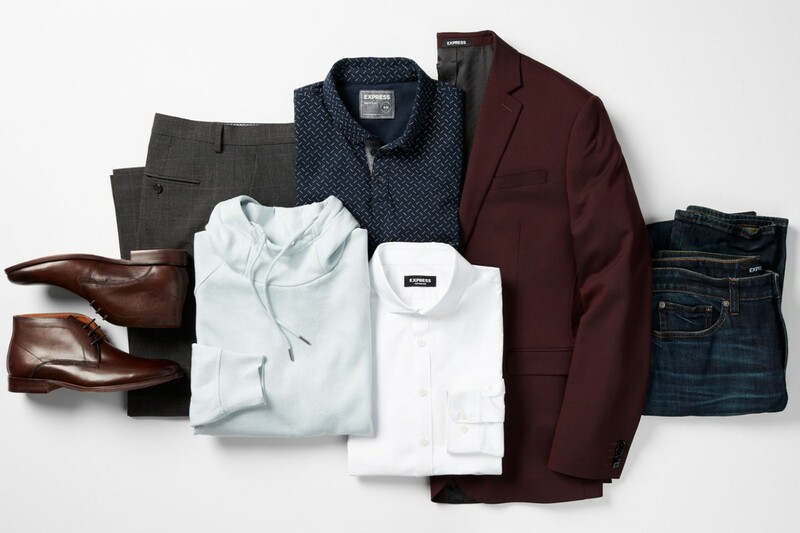 It’s the out-of-the-box suit that checks every box. 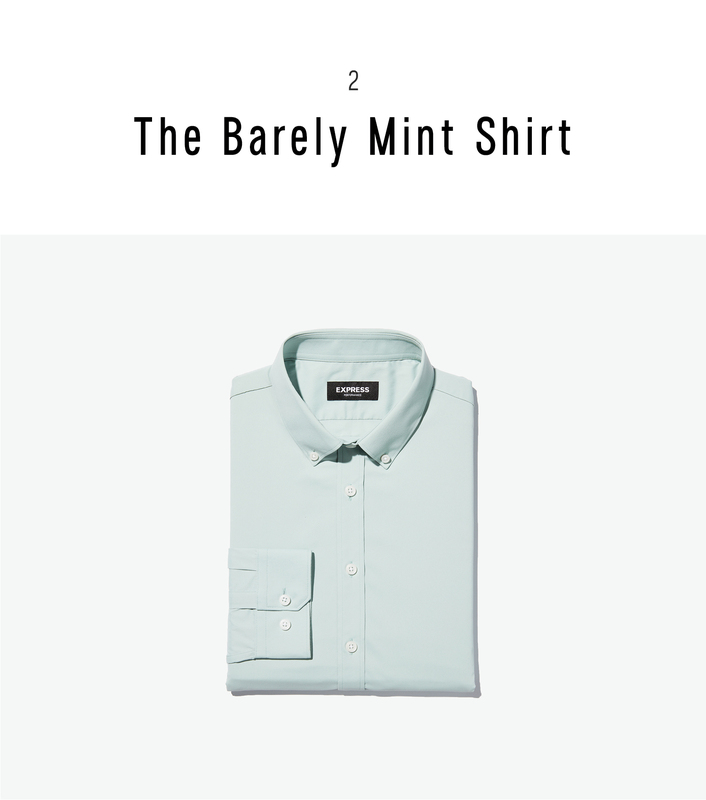 Speaking of bold-colors, if you don’t own a mint green button-down yet, you’re missing out. Wear it with a chocolate brown suit for the coolest formal look on the planet (See: every red carpet right now). If you don’t dress up often, try a mint-color Oxford with dark green chinos for a monochromatic flex that’s dope in its own right. 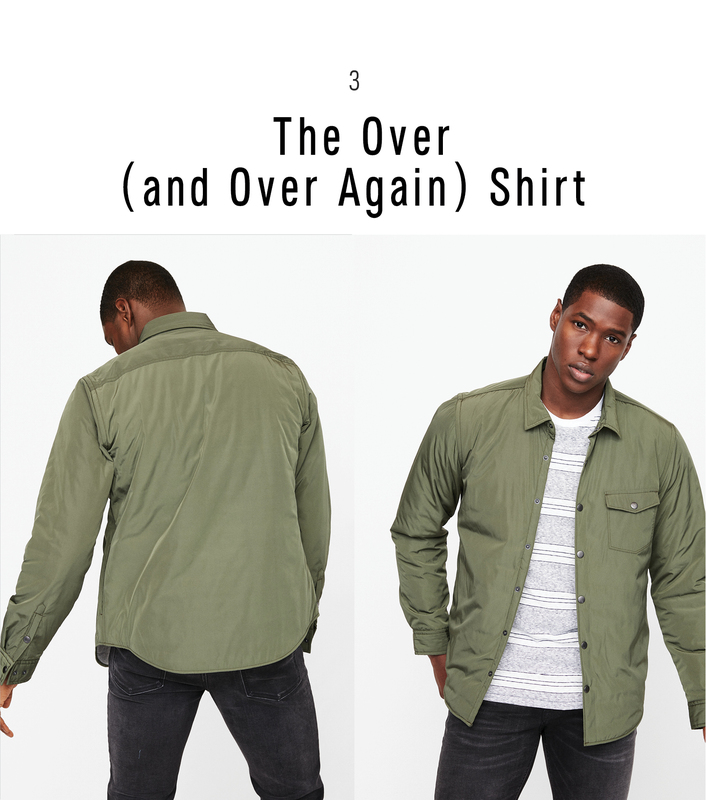 Spending less than a hundred bucks on a multi-functional piece is a small price to pay for a shirt that’ll keep you comfortable and stylish from October through March—every single day. The slim profile but padded construction lets you wear it as a light jacket now, then use it as a mid-layer when it gets really cold. And did we mention it works with sweats and suits alike? Yeah, you’re going to find plenty of excuses to reach for this one. Skinny jeans have dominated for the last decade, but the relaxed-fit jean is ready for a turn in the spotlight again. And this time around, they’re a lot more flattering and a lot less “dorky dad.” Think: dark, modern washes and a cut that gives you plenty of room to move without pooling too much around your ankles. A graphic T-shirt is a great way to kick up your off-duty style and express yourself even when you’re half awake and haven’t had coffee yet. 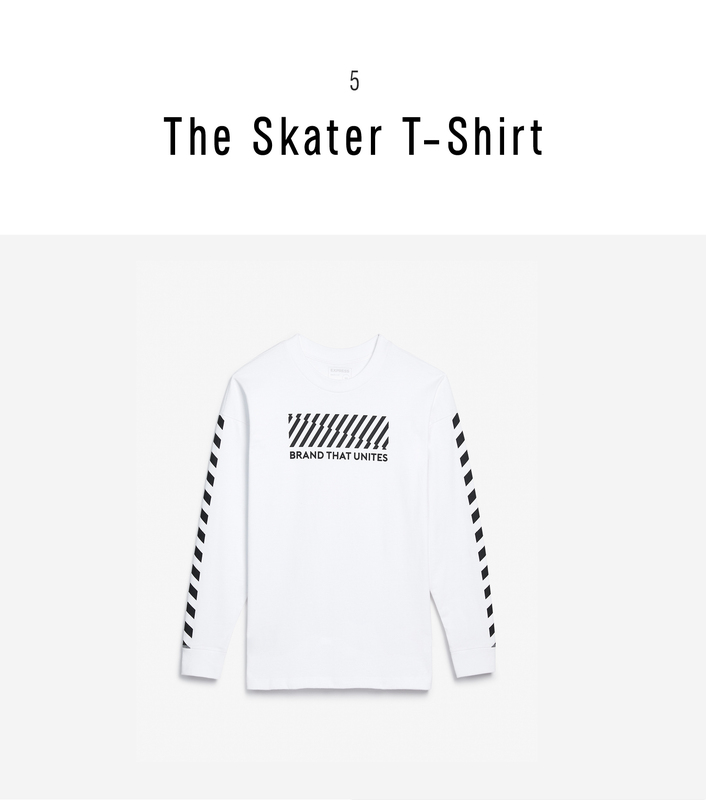 This fall we’re feeling long-sleeve tees with graphic elements all over the place for a look that’s a little bit skater, a little bit streetwear, a little bit motocross. These tees have so much going on, they turn even basic gray sweats into an outfit. 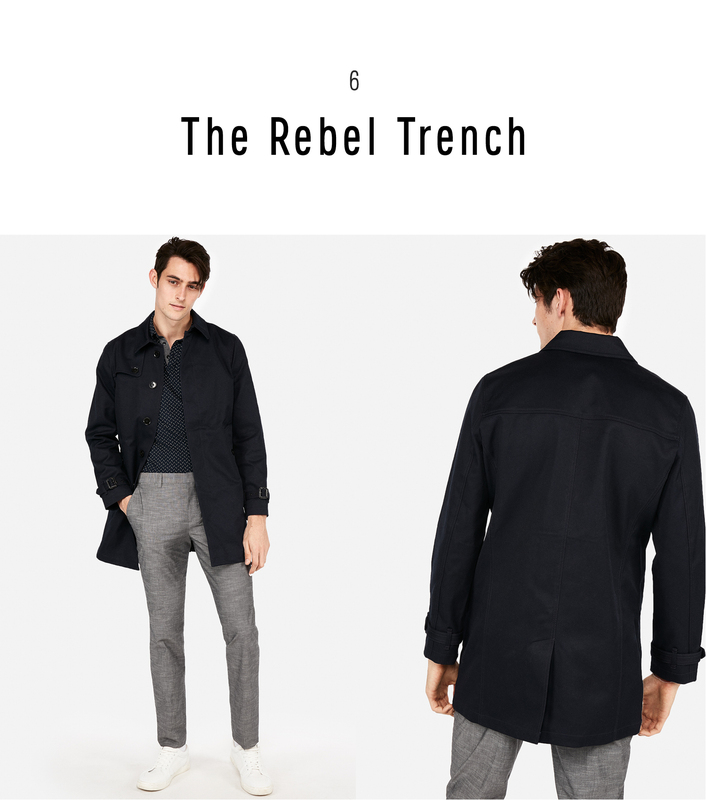 Leather jackets are a great way to show your rock-and-roll side, but don’t underestimate the power of a classic trench either. This classic coat’s longer length, deeper pockets, and higher collar will make you feel like a detective, a spy, or just a really rich guy—all equally fun roles to play as you’re going from one place to another. Want to modernize your office uniform in one simple move? 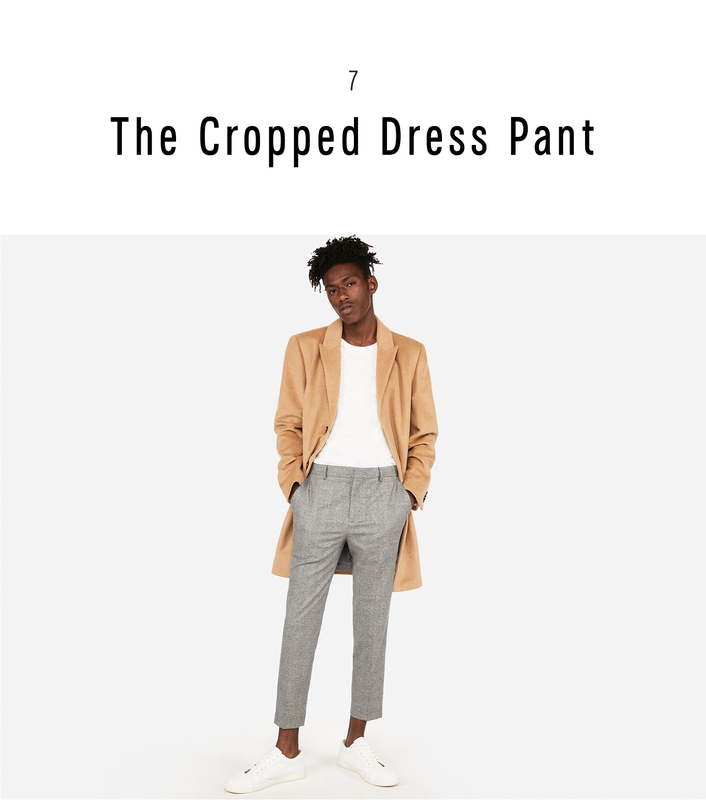 Swap your chinos out a pair of slim, cropped dress pants and—boom—you are the picture of 2018 cool. We recommend putting the ankle real estate to good use. Bare ankles now, while it’s still just warm enough, then all variety of cool socks later, when your wardrobe takes a turn for the functional. 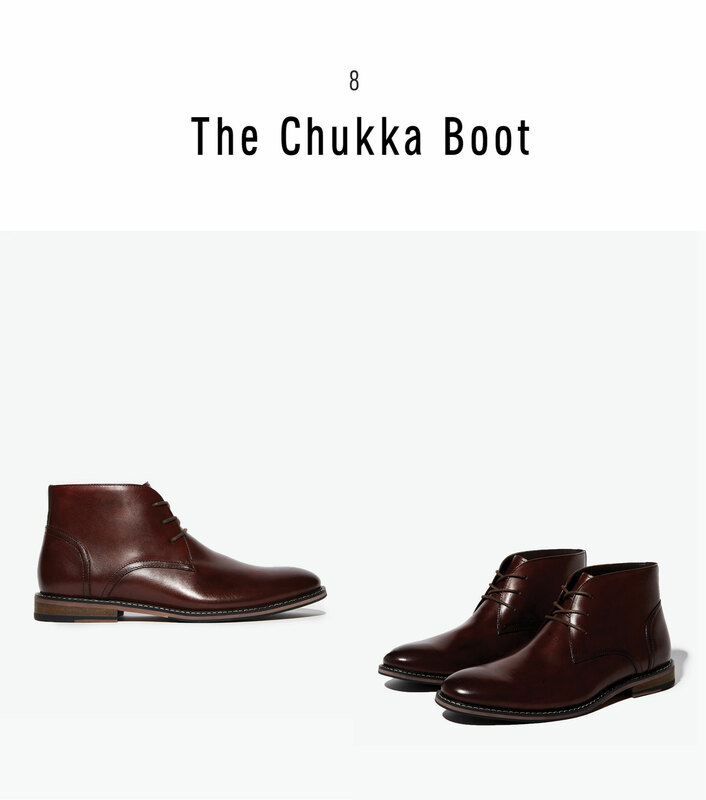 After of a few seasons of Chelsea boot devotion, we’re ready for a little change. Chukka boots are more relaxed and wholesome, less “look at how cool I am,” and they look excellent with today’s straight fit and slightly cropped pants and suits. Yep, we think we found a winner. 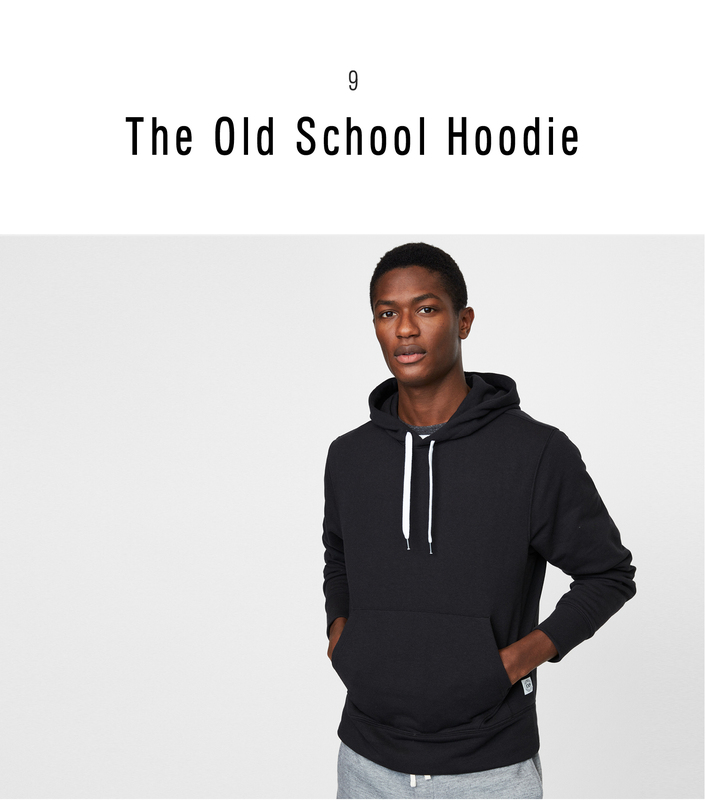 Whether you wear it under a leather jacket on a night out or as your workout warmup layer, the fleece hoodie just always looks cool. Ours is made with a substantial cotton fabric, ribbed cuffs and hem, and kangaroo pocket for that old school flavor. We also made it in five colors, so you always have a clean one in the rotation. 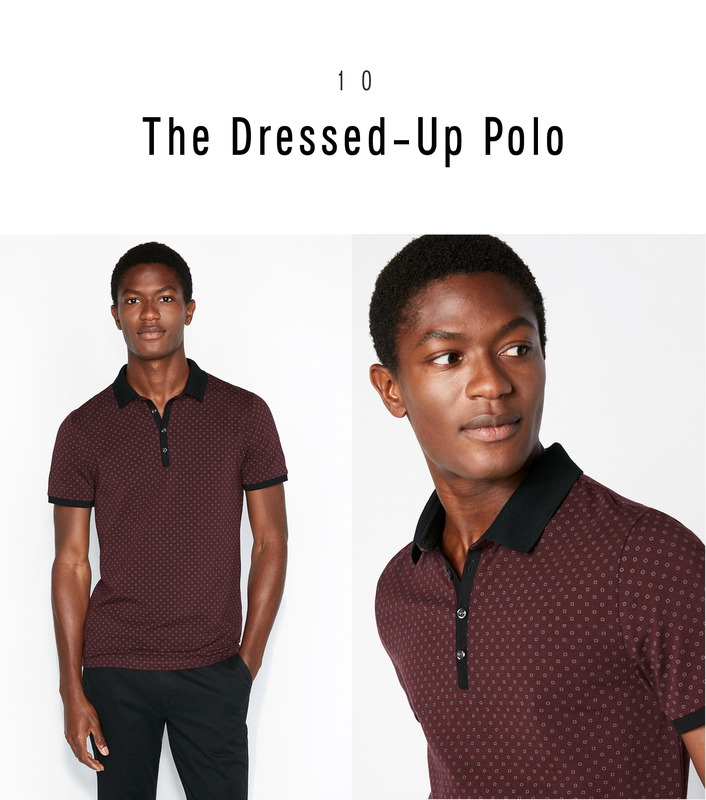 When a shirt and tie feel too formal, but you don’t want to go the whole sweater route, a knit polo is just right. This season we’re into styles in deep colors and subtle prints. They add just enough interest to basic jeans and suits, and up the gentlemanly vibe this polished shirt already has going for it.